We walk through grocery aisles that give us any food we want at any time of day. We scroll websites and find clothes ready to be sent to our door. Hop on a plane and experience a summer day in the middle of your winter. Each one a [mostly] beautiful development in our society that can serve to simplify our lives and widen our gaze beyond our individual contexts. And easily transformed as the channel through which we expect to have everything we want as soon as we think of it. What’s the quickest route to overextending yourself? Start seeing life through the “never enough” lens. As a North Dakotan-turned-Minnesotan, limiting seasons like winter have always been in my life. It’s a rhythm we have to embrace because we cannot will the weather to comply with our hopes and dreams. For a large part of the year, it is dark and cold and windy. We find alternatives to Vitamin D and eat a lot of soup with root vegetables. 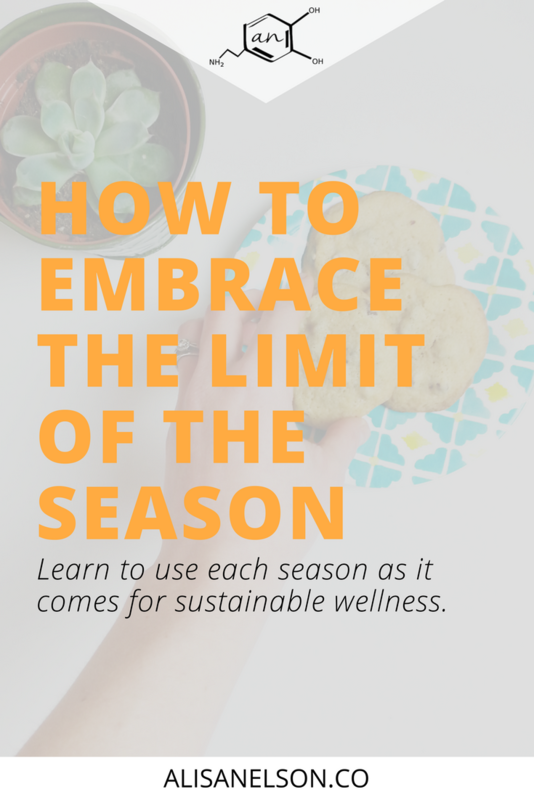 What if instead of trying to turn your winter season into summer, you embraced the limitations and let them do the work they are meant to do? At our house, winter is a time to slow down and get close. We build fires, feed birds, read lots of books, and learn new skills. All things we start to move away from (or do differently, at least) once we can be outside [without 5 layers] again. I can easily transfer this concept to any area of my life. I’ve had seasons of motherhood where I’ve needed to pull in – huddle closer to just the essentials in order to preserve my energy + focus for going deep and heavy into raising little people. As a family we have been in seasons of setting limits on our time and the types of things we do because we’re working together to grow a business into a sustainable living. If we choose to zoom in on the stuff we can’t do, then we will grow to resent the present. We will try to force the season to be different. We will say yes to things as if the commitment somehow makes our lives different. Overextension, overcommitment, always reaching for what we think we must have right this second. But what is winter, really? Sure, on the surface we see dormant trees and green >> brown. We see creatures go into hiding. But why do they do that? To gather their strength. To prepare for a new season of extension and outpouring when the necessary resources are abundant. If you’re in a season where the stuff coming in is more limited, by necessity, let that change your level of output. It’s not giving up. It’s being human. The giant oak tree drops its leaves and goes quiet in response to the waning hours of sunlight and decreased access to water. It knows that trying to produce acorns in January would likely lead to death (“knows” being a loose term, of course). But by flowing with its environment, it can come forth again to do what it is designed to do >> provide beauty, shade, and make new little oak trees. Rather than lamenting what you can’t do, look instead to what you can. Living simply – a well-worn path to sustainable wellness – includes doing the work for today that will, little by little, prepare you to plant new seeds and reap new harvests. In the time that is allotted.